A memorial service was held for Dr. Donald Hustad and his wife, Saturday, July 27 at the Western Springs Baptist Church (pictured right). Don Hustad had a distinguished ministry and a life-long profession as a recording artist, composer, arranger, teacher, conductor, hymnal editor, and author. He began work as staff musician of Chicago’s WMBI in the early 1940s, worked with soloist George Beverly Shea on a weekly broadcast called “Club Time,” and served for some 20 years as organist for a popular radio broadcast “Songs in the Night.” He taught at Olivet Nazarene College in Bourbonnais, Illinois from 1946 to 1950, at which time Hustad was appointed director of the Sacred Music Department at Moody Bible Institute-a position he held until 1961. During his 11-year tenure at Moody he developed the Moody Chorale into a superior choral ensemble that achieved fame nationally and internationally. In 1961 he became Crusade organist for the Billy Graham Evangelistic Association and directed the Crusader Men Choir in the “Hour of Decision” broadcasts. In 1967, Hustad, who had completed a Ph.D program in music at Northwestern University, moved to Louisville to serve as professor of church music at the Southern Baptist Theological Seminary. As a result of his teaching a popular course on worship, he authored “Jubilate!” — a book that analyzes evangelical church music and sets forth his own philosophy of church music, and later “Jubilate II” and “True Worship: Reclaiming the Wonder & Majesty.” His publications include over 100 articles and five books. Throughout his career, Hustad devoted considerable energy to music arranging and hymnal editing, serving as editorial consultant and musical advisor to Hope Publishing Company. Among his editorial contributions are fourteen hymnals and songbooks, as well as dozens of collections. 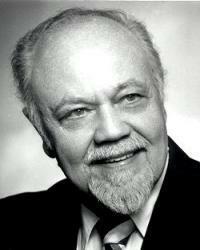 In 1989 Hustad was awarded Fellow of the Hymn Society for his outstanding contribution to American hymnody. In 2006 he was awarded an honorary Doctorate in Fine Arts from Samford University in Birmingham, Alabama. In 2008 he was honored by the American Choral Director’s Association Southern Division Conference for his contributions to church music. He earned diplomas as an Associate of the American Guild of Organists (AAGO) and a Fellow of the Royal College of Organists (FRCO), London, UK. Western Springs Baptist Church was founded in 1912. In 1943 Billy Graham, a recent graduate of Wheaton College, became pastor of the 100 member church. During his 21 months of ministry, “Songs In The Night,” a well-known Sunday evening radio vesper service, began broadcasting from the church. Western Springs resident, George Beverly Shea, sang on many of these radio broadcasts. 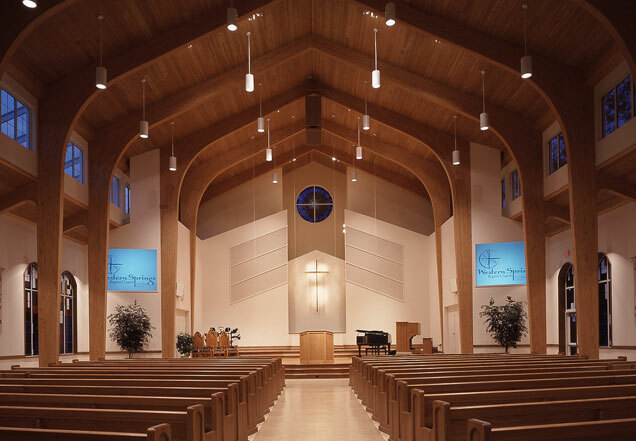 In 2001 Western Springs Baptist Church built a new worship space and installed a Rodgers Trillium 967 Organ. Western Springs Baptist Church has an amazing history – it is the first Church that Billy Graham began to Pastor and was the site of the famed “Songs in the Night” Radio Broadcast for many years. This radio program featured a young George Beverly Shea (who was also a Rodgers Owner), and the church currently is a Rodgers 967 Owner. The Rodgers 967 was chosen because of its tonal variety and because it was the only digital organ available that included 16′ & 4′ Choir Division couplers.